Camptown is a non-profit organization dedicated to teaching youth life skills through wilderness adventures. In addition to working with local youth agencies, Camptown offers a series of adventures open to families and individuals of all ages. Trips include all equipment and transportation and are led by professional wilderness guides with Wilderness First Responder certification. 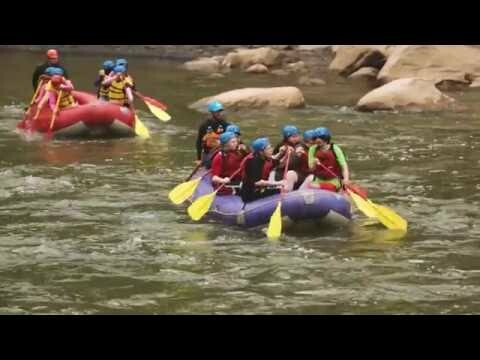 Whitewater Rafting – Three-day adventure in West Virginia down the New River. Boundary Waters – Seven days, six nights of canoing in the Minnesota Boundary Waters. Adirondack High Peaks and Niagara Falls – Seven days, six nights in upstate New York. Stop offs at Lake Placid, NY and Niagara Falls. Surviving Women – Four-day backpacking trip for women only through Red River Gorge, KY.